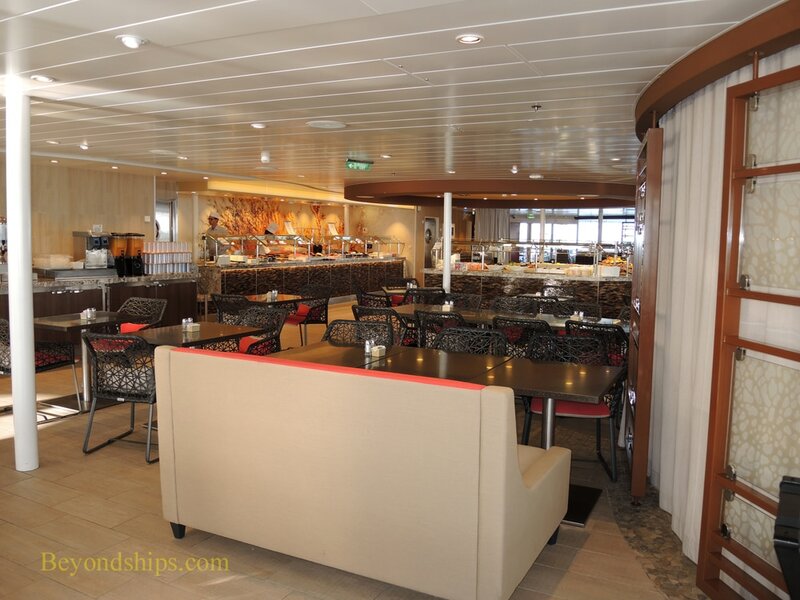 The Windjammer is Harmony's casual buffet restaurant. 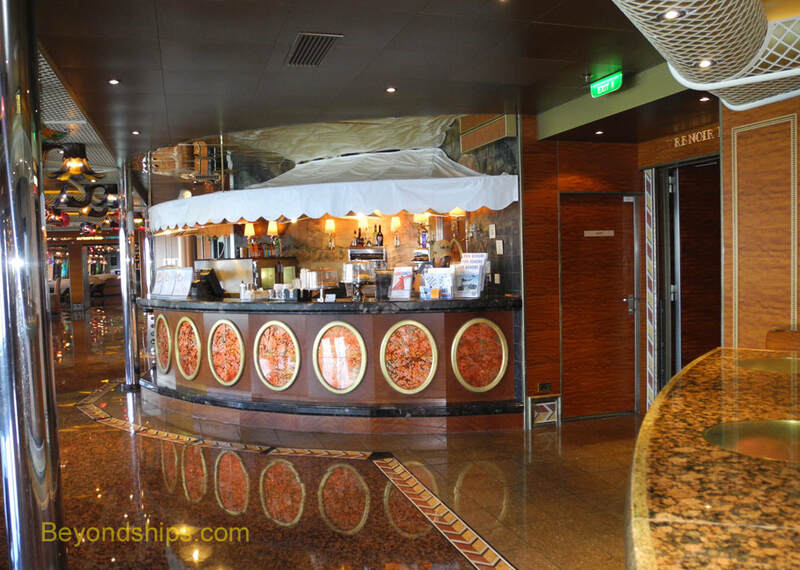 When the Oasis class was being designed it was thought that because there were so many other dining venues on the ship, there would not be an much demand for the Windjammer as on past ships. This quickly proved to be a mistaken assumption, this self-serve venue is still very popular. 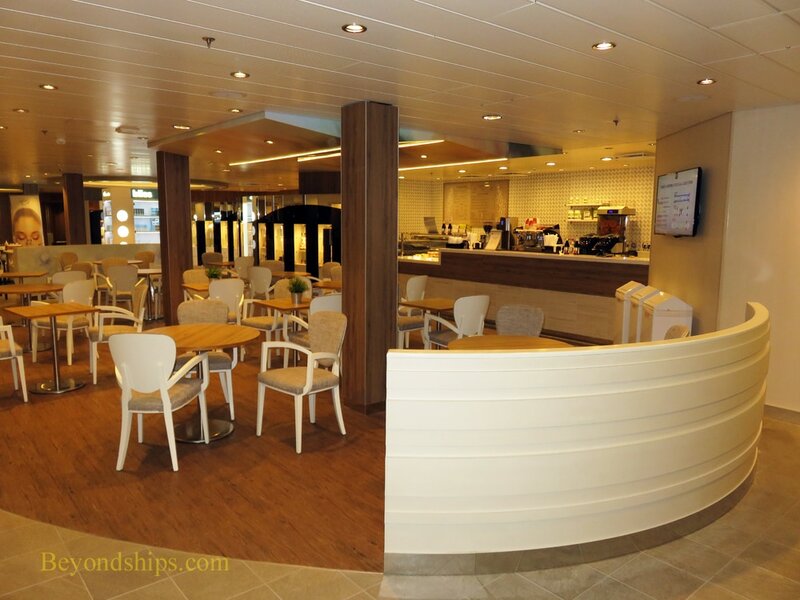 Consequently, the Windjammer on Harmony is larger than the original Windjammers on Oasis and Allure. It is high on the ship on Deck 11 giving it excellent views. It is open for breakfast, lunch and dinner. 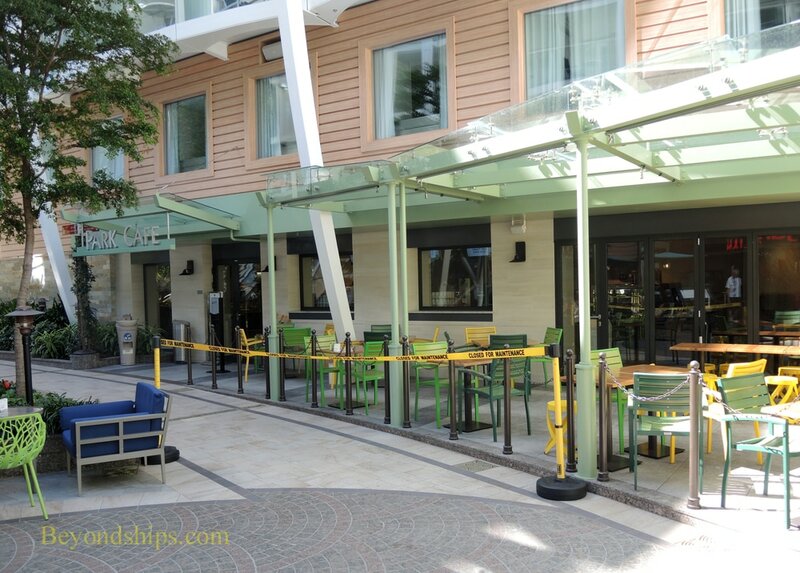 There are two casual eating venues along the Royal Promenade. 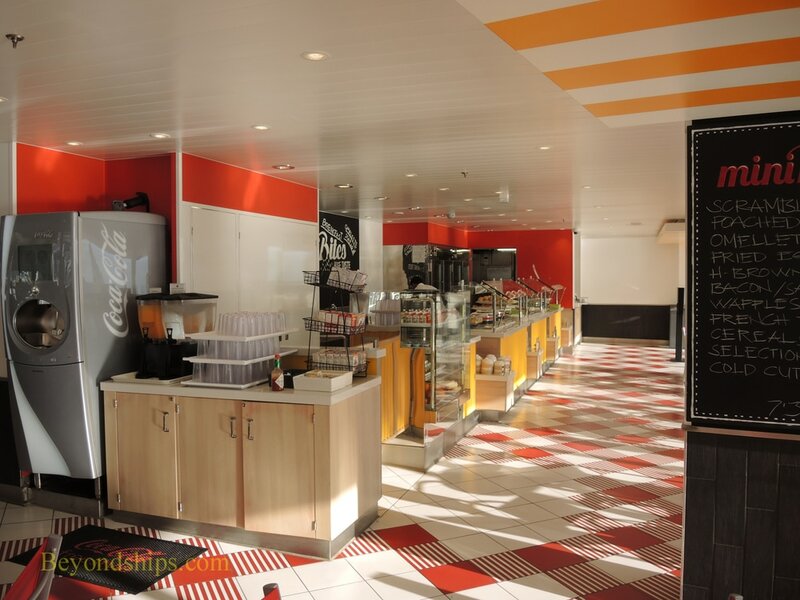 Cafe Promenade (right) operates around the clock serving such things as sandwiches, cookies and pastries. 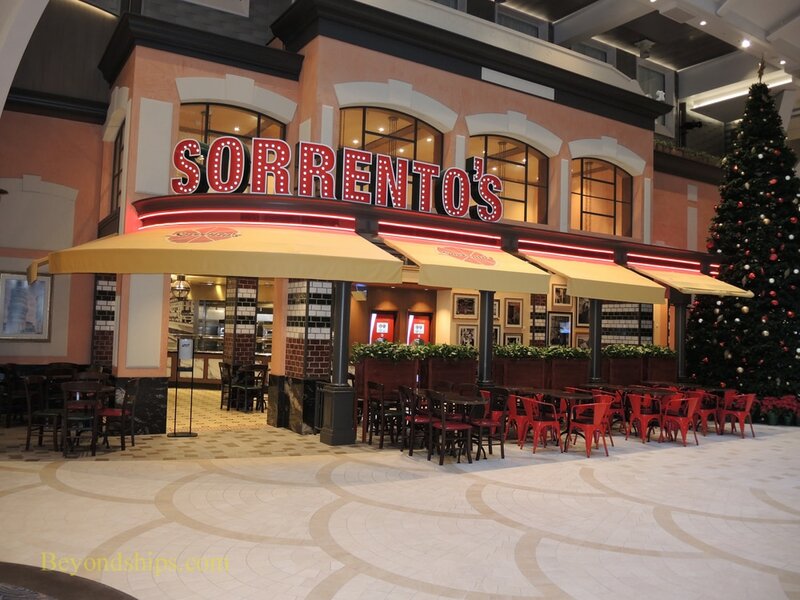 Sorrento's (below) is a casual pizza parlor. 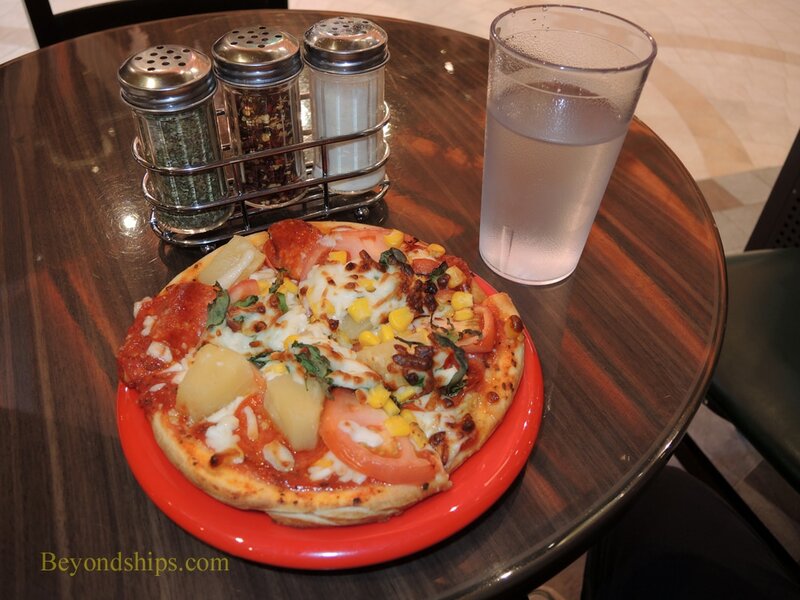 In addition to pizza by the slice, you can design your own personal pizza from a substantial array of ingredients. 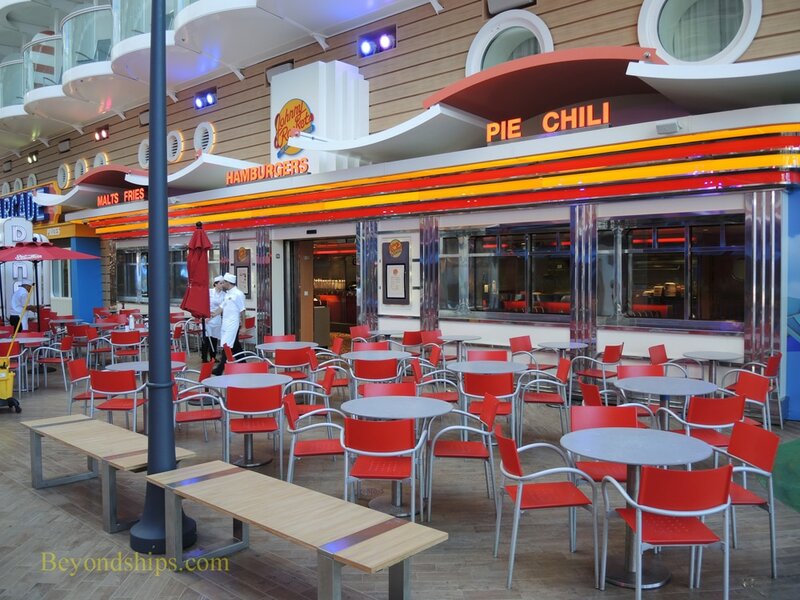 As well might be expected, there is casual dining on the Boardwalk. 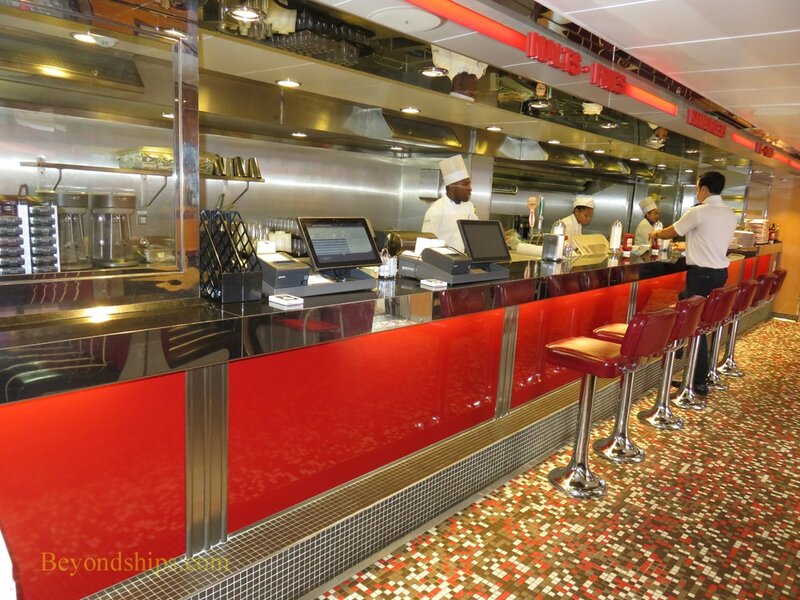 Johnny Rockets (above) 12 is a 1950s style family-friendly dinner offering such things as shakes and malts, burgers, and cheesy chili fries. There is usually a cover charge for this venue. 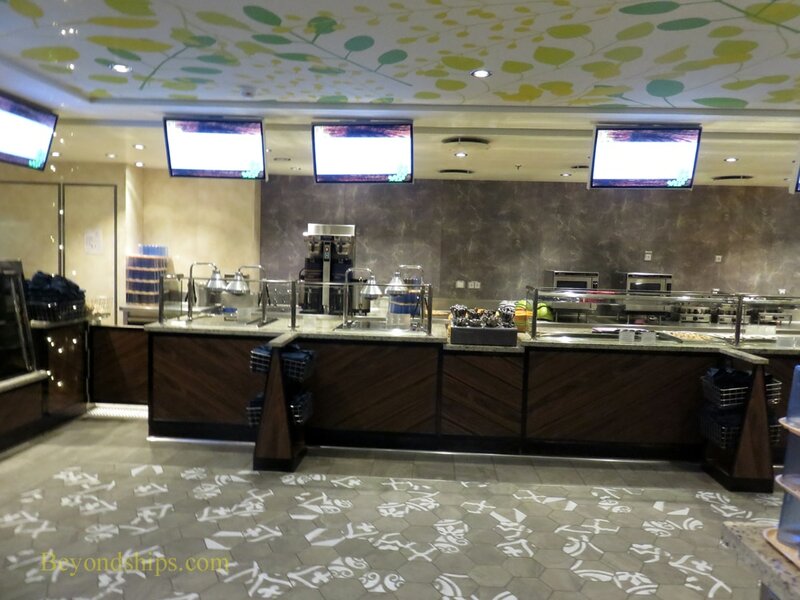 However, at breakfast, this is a complimentary venue featuring omelettes to order. 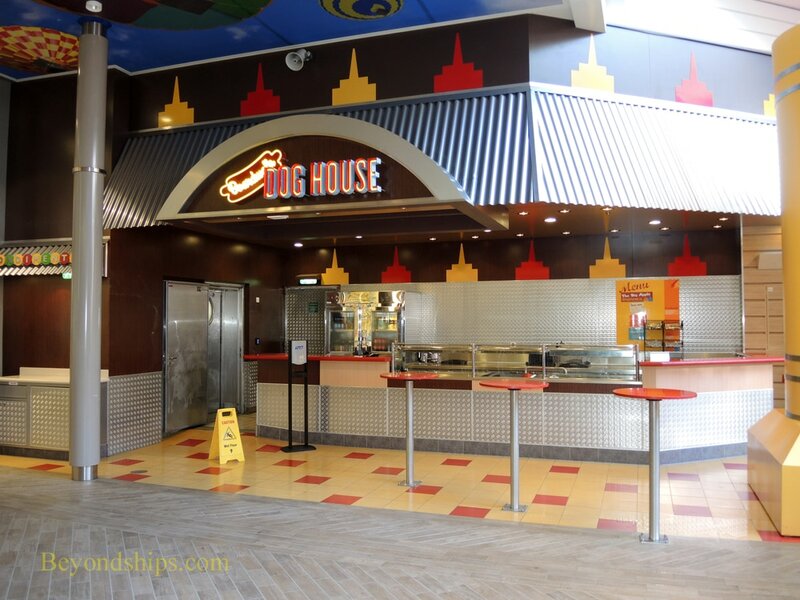 The Dog House (below left) specializes in hot dogs and offers hot dogs and sausages from around the world. 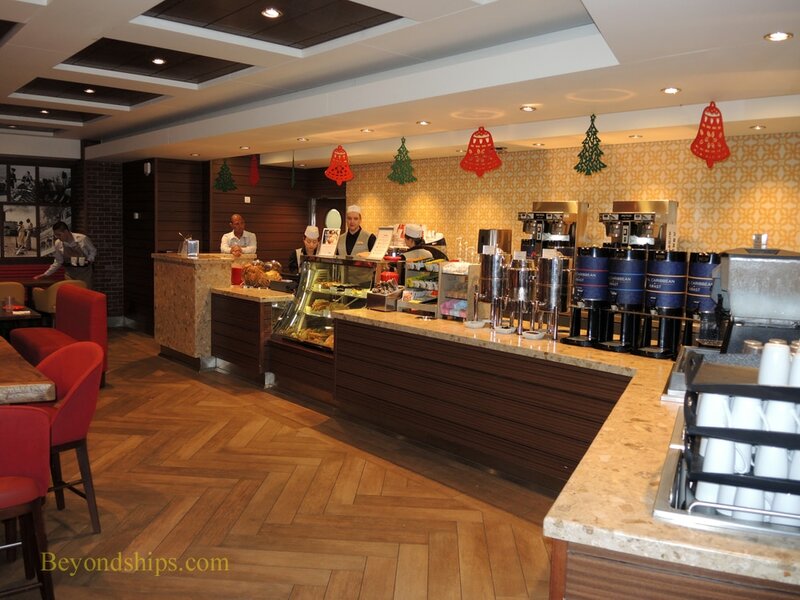 Starbucks offers specialty coffee and accompaniments. There are extra charges. Upstairs, near the pools and sports facilities, is Mini Bites (above). 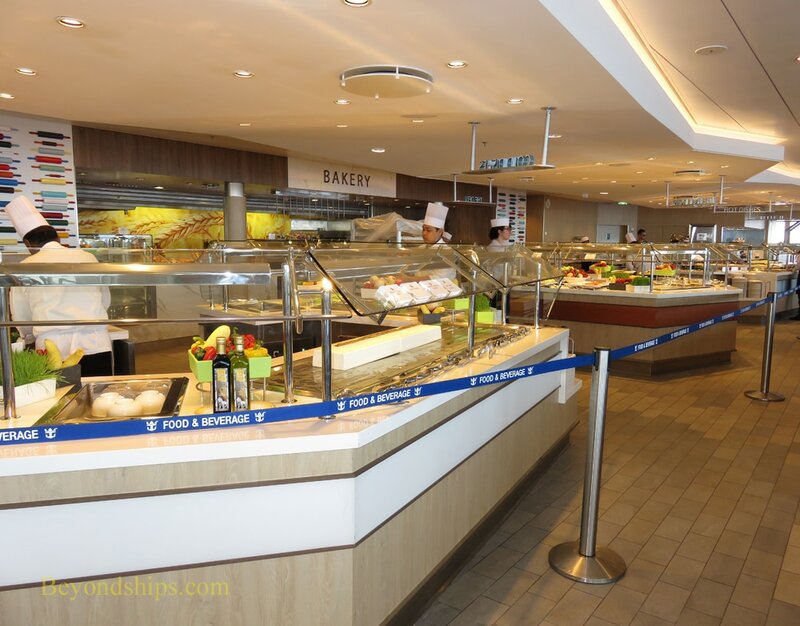 This buffet venue offers pizza, hamburgers, salads and sandwiches for lunch. It is also open for breakfast. 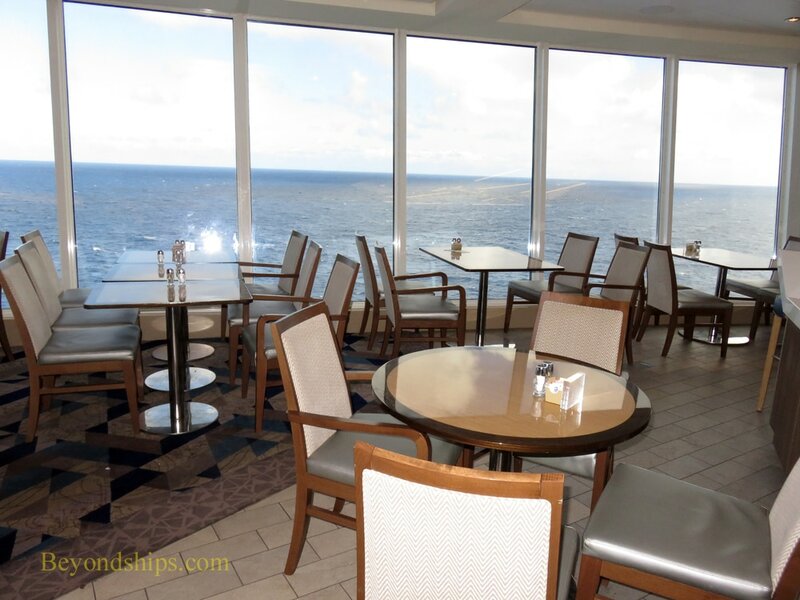 Forward in the Solarium is the Solarium Bistro, which offers spa cuisine at breakfast and lunch. (above right). 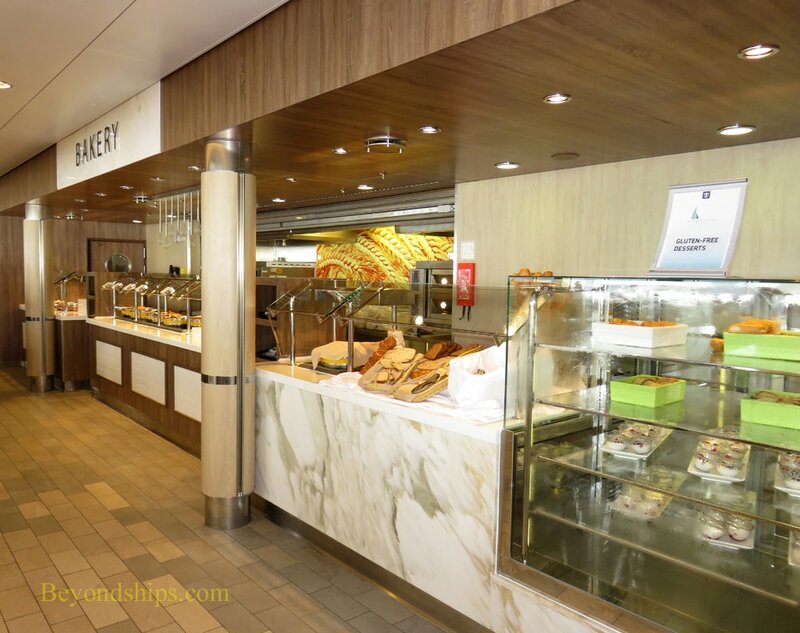 Those looking for healthy alternatives also have the Vitality Cafe, located by the entrance to the Spa and Fitness Center. 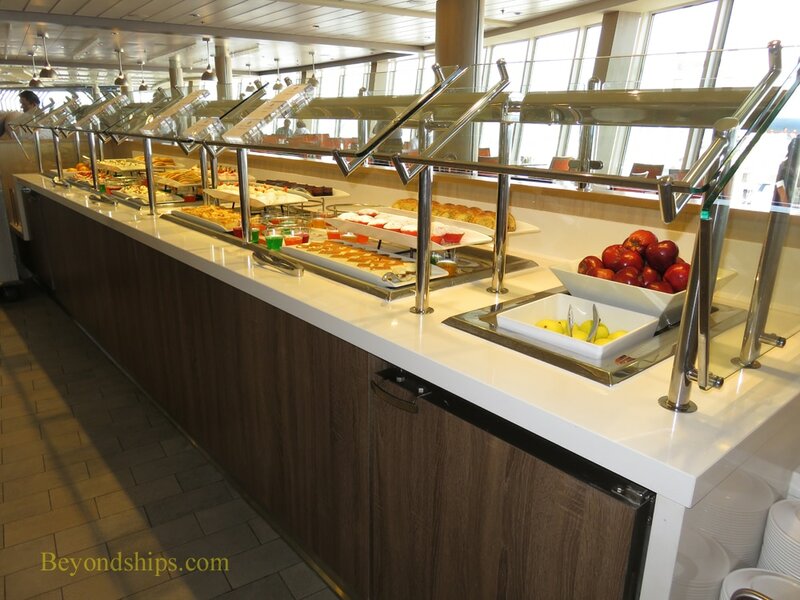 It features healthy snacks, energy and nutritional bars, fruit juices, protein shakes, and fruit. There is an additional charge for some items.